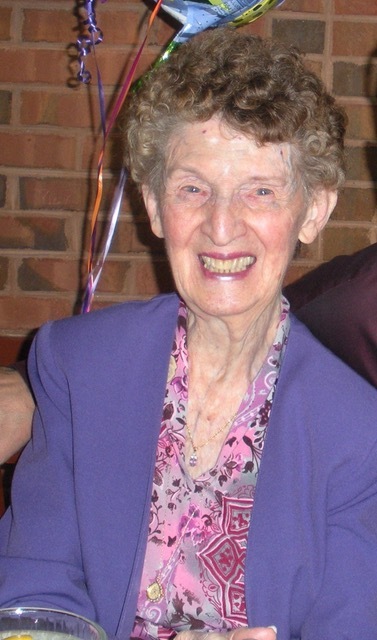 Obituary for Margaret Cable | Medford-Peden Funeral Home & Crematory, Inc.
Margaret “Peggy” Cable, known to friends as “Peggy,” to her kids as “Mom,” and to her grand- and great-grandchildren as “Nana Peg,” passed away Jan 16, 2019 at age 90, after a tremendous fight against the COPD that tried to slow her down. Born March 28, 1928 in Columbus, OH. She spent her childhood, graduated High school in ‘46 (where she was loudly and proudly the Head Majorette for Miami High Marching Band), and got married in Miami, FL. In 1974, and single again, she moved to Decatur, GA to restart a life. Peggy worked until retirement for the Atlanta Board of Realtors, was an avid square dancer, active member of the ‘Red Hat Society,’ and Waleska UMC ‘Juliettes,’ a self-proclaimed #1 Atlanta Braves fan, and Miami Dolphins fan during off- season, and member of Waleska UMC, She loved to travel, especially to visit grandchildren. Peggy is survived by her 3 children: Shari Lunsford (Mike), Teresa Kayse (Yashu) and Steven Lovig (Tracy), 9 grandchildren: Jeni Summers (Cody), Noriko Liming (Luke), Joshua Kayse (Emily), Kevin Lunsford (Janet), Melissa Rodgers (Darrell), Ashley Forrester (Dustin), Lane George (Anna), Bobby Blackwell, Brent Blackwell, 12 great- grandchildren, and 1 great- great grandchild. Those who desire to make a Memorial donation in memory of Peggy Cable are asked that it be made to the American Lung Association, 55 W. Wacker Drive, Suite 1150, Chicago, IL 60601; 800-LUNGUSA, or to Waleska UMC, 7340 Reinhardt College Parkway, Waleska, GA 30183; 770-479-4428.